In the world today, virtual reality is no longer something reserved for the sci-fi books and movies. It’s something that is here with us. We socialize, shop, work, and study online. The internet has become our life, and some of us cannot end a day without going online. Considering how a major part of our lives depends on the internet, we want to stay connected at all times and everywhere. We want to be powered at home and in the workplaces. This brings us to the debate of Ethernet vs Wi-Fi and to some people, wired connection vs wireless network. Actually, there is no difference between the two categories. Having said that, you may be wondering why talk of ethernet when we are living in a wireless society. Well, we cannot overlook where we’ve come from. Before Wi-Fi, there was Ethernet. Generally, ethernet connections are convenient. You just need to drop a single cable to connect an entire building. You do this and save installation charges that are normally expensive when installing wireless connections. But this is not the only reason to use wired connections. To help you understand their relevance today, here are 5 reasons to still use ethernet in a wireless world. 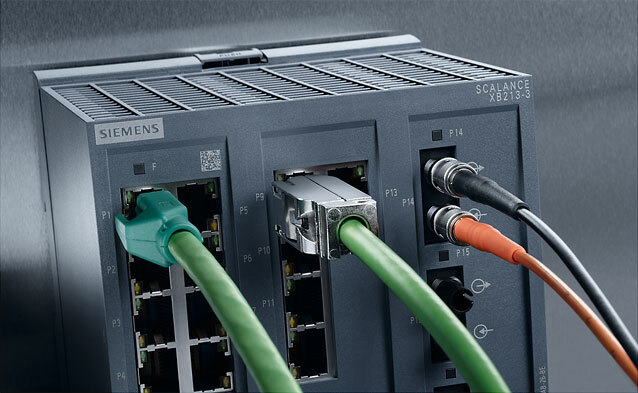 Currently, the standard Cat6 ethernet cables enjoy a speed of 2.5-5.0 GBPS and the Cat5 delivers up to 1 GBPS. Judging by their performance and the evolution that they’ve gone through lately, it’s realistic to project the speed of the Cat6 cables getting to 10 GBPS and that of Cat5 to double the current speed in the next few years. It’s undeniable that Wi-Fi has gotten faster. The current 802.11ac wireless connections enjoy a speed if 866.7 MBS while the 802.11n networks have a maximum speed of 150 MBS. But frankly, the speed for ethernet is a distance faster. Wireless networks are often interrupted and it becomes difficult to stay connected continuously. The experience is very annoying. As more devices connect to the wireless network, there’s bound to be a jam. This is something that rarely happens to wired connections. If you do the right ethernet connection and install the right cable such as the Cat6, then you can enjoy better signals. The cables are designed to balance the electrical fields that are normally interrupted by technical and natural hitches. This means that you stay connected amid the unseen interruptions. One thing that draws most users to ethernet is the cost of installation. It’s generally cheaper to install the cables. After you drop the first cable, it becomes easier and cheaper to expand the connection. You don’t have to incur expenses for extra power outlets if you have one. If you need to go past the 100m ethernet limit, you’ll need a device like an ethernet extender to do it. Interestingly, you can set Wi-Fi access points on your wired connection. Honestly, Wi-Fi connections are neither safe nor private. This is why we constantly change the encryptions of our networks. At times, we even pay exorbitantly hoping to enjoy secure connections. Unfortunately, there is no guarantee that you cannot be hacked. When it happens, your private information becomes a public interest. Wired connections give you something better. They are easily contained to ensure that your information is safe and private. Someone cannot access the network without physically doing the connection. While Wi-Fi is suited for smartphones, laptops, and some desktops, ethernet gives you more. You can use the connection on most desktops, LED lighting, monitoring systems, phone systems, and access points. Moreover, the installation can be done at home, at the workplace, and on the highway. Ethernet is something that you should think about for your home, business, office, restaurant, or anywhere else you can viably use it. And if you hadn’t decided whether to use Wi-Fi or Ethernet, now you clearly have 5 reasons to still use ethernet in a wireless world. The connection not only guarantees flexibility and quality, but also great stability when accessing the internet. You should thus keep watch as ethernet gets revolutionized for the best.